Fall is here and with it comes busier schedules, colder weather, and shorter days. In the blink of an eye, the holidays will be here, and we’ll be wrapping up another year. 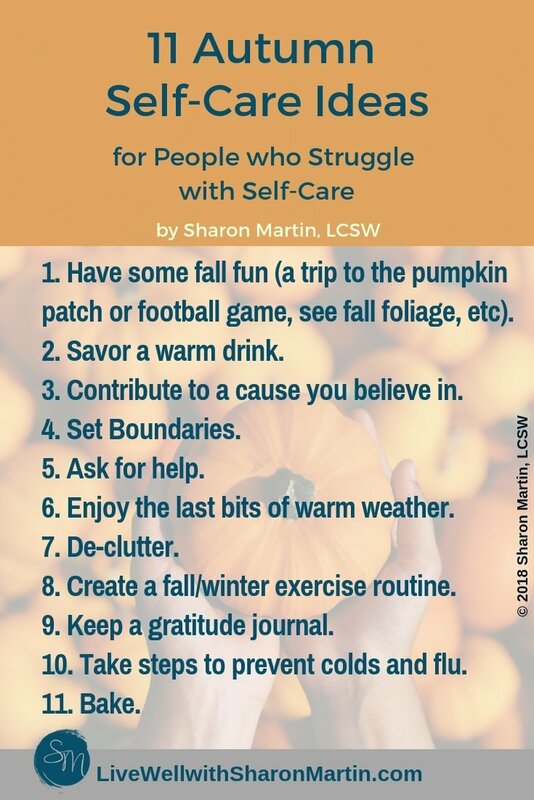 Autumn is a natural time for reflection and gratitude and it provides some special opportunities to use seasonal self-care ideas like the ones below. Why do you need self-care? Stress is a natural part of life for all of us. We can try to reduce negative stresses, but we can’t completely avoid things that make us feel anxious, tense, frustrated, or discouraged. Self-care helps mitigate the negative effects of stress. That’s why it’s so important! Without self-care, stress builds up until we feel overwhelmed, exhausted, depressed, and physically sick. What kind of self-care do you need? You need self-care year-round, but some of your self-care practices may need to change with the seasons. Obviously, your warm weather favorites may not be doable in colder weather. Bringing some seasonal self-care activities into your routine can also provide needed variety and help you tap into different interests, feelings, and energies. How do I feel right now? What would help me feel better (healthier, happier, restored, energized)? For example, if you notice that you feel tired, you probably need rest and if you feel lonely, you probably need companionship. Some needs can be met in a variety of ways depending on your preferences and environment. For example, if you feel stressed, quiet time alone might be an effective self-care activity while someone else might meet this need by spending time with friends or going to an exercise class. 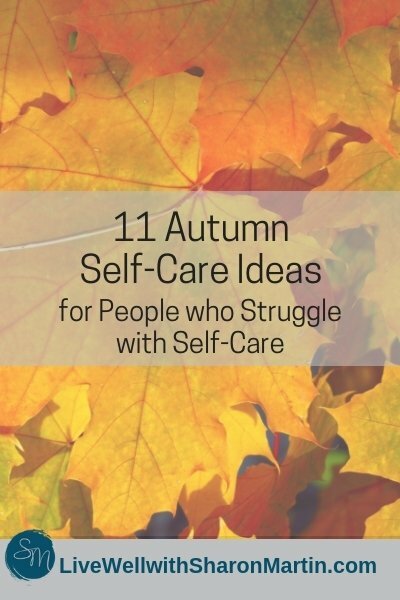 Below are 11 self-care ideas that are perfect for autumn (although some work great in other seasons, too). 1) Have some Fall fun. Get in touch with the creative, fun-loving parts of yourself and make plans to do some fun Autumn activities. Perhaps think about what was fun for you as a child. Here are a few ideas to get you started. 2) Savor a warm drink. There’s something amazingly soothing about enjoying your favorite hot beverage – whether it’s tea, coffee, cider, or cocoa. I don’t know about you, but I love the sensation of holding a warm cup in my hands on a cold morning. To maximize this self-care practice, take your time – don’t just gulp it down in the car – and savor it. With just five extra minutes, you can sit quietly, take a few deep breaths, and relax with your drink. What a wonderful way to start the day, give yourself some TLC in the middle of a hectic afternoon, or unwind at the end of the day. 3) Contribute to a cause you believe in. There are tons of great causes that are recognized during October and November (domestic violence, breast cancer, pregnancy and infant loss, get out the vote – to name just a few). Putting your time, energy, and money into something you feel passionate about can improve your mood and help you feel more empowered and hopeful. 4) Set boundaries. Boundaries aren’t about trying to control others or make them change. Boundaries are an important form of self-care; you set and enforce boundaries for your own wellbeing. They allow you to prioritize yourself and not overcommit or sign-up for things you can’t or don’t want to do. Autumn signals the beginning of the holiday season which often means the busiest time of the year. We have to sort through dozens of obligations, invitations, expectations, and traditions. It’s important to recognize that you can’t do everything and it’s healthy to protect your mental health by saying “no” to people and events that drain your energy and don’t fill you with joy. 5) Ask for help. If you don’t practice adequate self-care, you’re likely to end up exhausted, burnt out, and resentful. Asking for help can help you avoid these negative feelings – but I know that many of you avoid asking for help if at all possible. It can feel vulnerable, especially if you have unrealistically high expectations of yourself or have been rejected in the past. Of course, we don’t want to impose or be a burden to others. However, this is usually an assumption based on our own fears rather than reality. Most people are willing to pitch in and lend a helping hand when they can. In fact, they probably feel good about being able to help you. Chances are your sister would be happy to contribute a dish to Thanksgiving dinner and your neighbor would be willing to water your plants when you’re out of town. Asking for help can be a win-win because when you give your loved ones an opportunity to help you, they feel valued and respected. Of course, sometimes people can’t help (or don’t want to) and that’s okay. We need to accept their boundaries and let them know that we understand. But that doesn’t mean there’s anything wrong with asking for help. It’s a good way to take care of yourself and a perfectly reasonable thing to do! 6) Enjoy the last bits of warm weather. Depending on where you live, you may already be feeling a chill in the air. I love cooler weather and bundling up in a sweater, but sunshine is good for us and as we move toward winter, the Northern Hemisphere gets less and less So, make the most of the remaining warm, sunny days by spending some time outside. 7) De-clutter. Fall and winter usually mean spending more time inside, which means it’s important for your physical surroundings to promote a relaxing and pleasant mood. Most Americans are overloaded with stuff. I don’t mean the extreme of hoarding, but the piles of mail, unpacked boxes from your last move, your kids’ shoes and backpacks creating a mountain by the front door, or your CD collection from 1995. All this stuff can have a negative impact on your mood. For some people, clutter is associated with increased levels of anxiety and depression. With that in mind, autumn is a good time to clear some clutter and make the inside of your home a calming refuge. For a simple way to start, designate three boxes or bags as trash, donate, and sell. Every day, challenge yourself to pick up ten items and put them into one of the three bags. And if you want to go beyond de-cluttering, you might think of other ways to enhance your space such as diffusing essential oils, playing soothing music, or brightening up the décor. 8) Create a fall/winter exercise routine. Exercise is a staple of most people’s self-care routine. Even if you dread getting started, most people admit that they feel better after they stretch their muscles and get their heart rate up. If you’ve been exercising outside, now’s the time to plan some alternative physical activities that can be done indoors. Perhaps that means signing up for a class, enlisting a friend to walk with you at the mall, or finding some videos you can do at home. The point is to be proactive and adjust your routine, so you won’t be caught without a plan for indoor exercise. 9) Keep a gratitude journal. Gratitude journals are popular because they’re quick and effective ways to shift your mood away from your problems and worries and towards the good things in your life. We all tend to notice and fixate on the negatives. It takes work to notice your strengths, blessings, simple pleasures, and what’s working in your life. Enter the gratitude journal – a self-care practice that cultivates better physical and mental health, sleep, empathy, self-esteem, and relationships. For an optimal experience, purchase a good quality journal and pen (something special that will encourage you to keep writing) and set aside 5-10 minutes either first thing in the morning or before bed to list three things you’re grateful for. If you feel stuck, try my 30 gratitude journal prompts. 10) Cold and flu prevention. This may not be the most exciting form of self-care, but taking some basic steps to avoid getting sick is definitely a loving thing to do for yourself. Self-care includes everything from washing your hands to getting a flu shot, to staying home when you don’t feel well, to applying positive psychology to your everyday life. You can find more flu prevention tips from the CDC here. 11) Bake. Baking is a way to express your creativity. It also reduces stress and promotes mindfulness. And, of course, those creations are yummy! 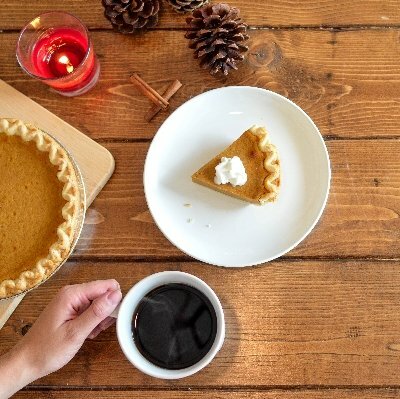 (Who can resist fall classics like warm apple pie or pumpkin bread?) For many people, baking also brings back fond memories and the opportunity to express your love for others. 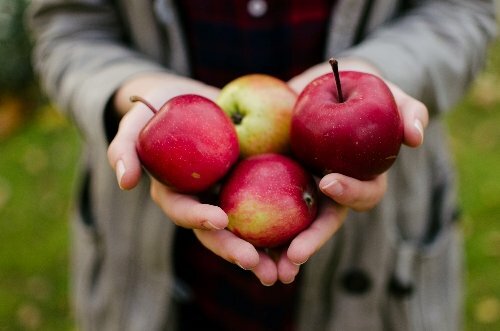 I hope these autumn self-care ideas give you some inspiration and new ways to improve your self-care practice! As you can see, there are plenty of different ways to practice self-care. It’s great to have so many options, but it’s easy to fall into an all-or-nothing mindset and get overwhelmed and feel like you should be doing them all. If you’re just getting started with self-care, start small. Something is definitely better than nothing! Every little thing you do for yourself matters. Are you ready to learn how to set boundaries without guilt? 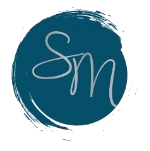 I created a workbook full of practical exercises designed to help you set boundaries and realize that it's healthy -- not wrong -- to take care of your own needs. These are the same exercises that I've used in my psychotherapy practice for nearly twenty years. They're available as PDF, so you can easily download them and get to work immediately. For more info and to view sample pages, click HERE.